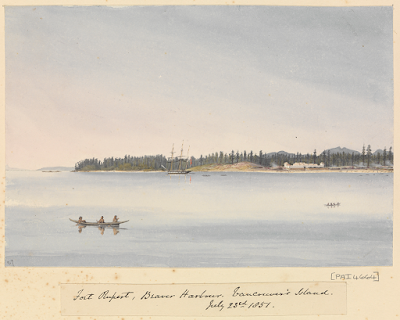 This week's historical image is actually a painting completed by Admiral Sir Edward Gennys Fanshawe on July 23, 1851. It depicts Fort Rupert and the Kwakiutl village of T'sakis. 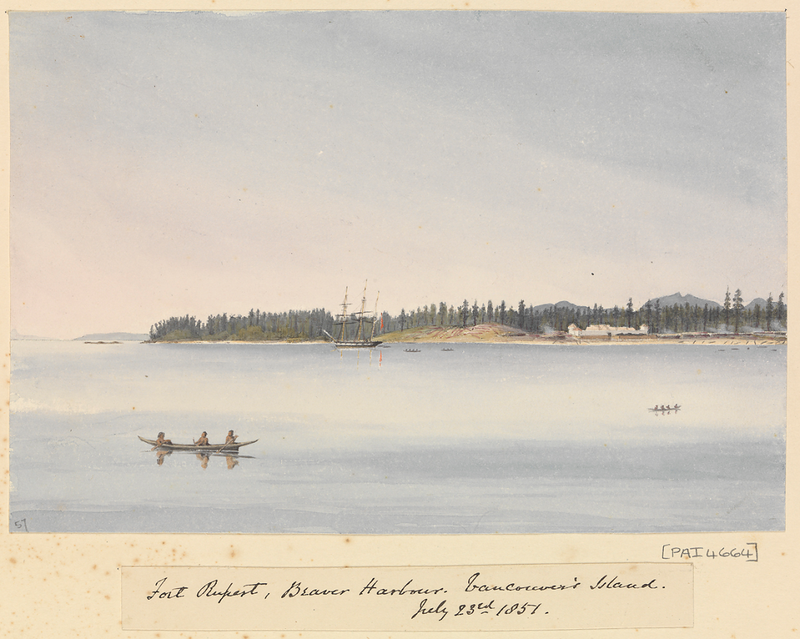 Fanshawe came to Fort Rupert on board the HMS Daphne as a part of an attempt by the British Navy to capture a number of Kwakiutl men believed to be involved in capturing and killing of three Hudson's Bay Company deserters. Fanshawe was not a supporter of the Hudson's Bay Company and disagreed with their treatment of indigenous peoples.